In this post, I cover the re-ignition of Bitstream Foundry’s fires and spend some time reflecting upon the principles that guide me in my day-to-day dealings with people. Last week was an extremely tumultuous and event-filled week for me. And to be completely honest, it was tremendously stressful at a couple of points. But I’ll cut to the chase on one very important detail: it ultimately ended on a high note, so I can say that this story has a happy ending. As many of you know, last October I joined the PAIT Group as their Chief Technology Officer. The decision to join PAIT wasn’t one that came about quickly. My friend of many years Mark Rackley (you might know him as “The SharePoint Hillbilly”) and I had been involved in a couple of different discussions over a period of time … but the actual decision to join PAIT came after a series of discussions at last year’s Microsoft Ignite conference. 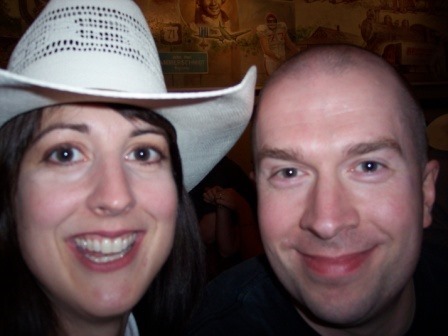 The idea of joining PAIT and being able to both work with friends (Mark and Stephanie Donahue) and refocus on SharePoint was the breath of fresh air I needed at the time … and once again I found some excitement and genuine happiness in the work I was doing – and in the people with whom I was interacting on a daily basis. Things went pretty well for a while, but sometimes even friends who start with the best of intentions find that different styles, approaches, experiences, and value systems don’t always mesh the way they would like. And businesses sometimes have influencers and drivers that remain “behind the scenes” but still wield a heavy hammer in day-to-day operations and long-term strategy. Last Thursday (April 27th) was my last day with PAIT Group. The end came abruptly and surprisingly to me, but in hindsight I can say that I understand the trajectory and how things got to where they did – whether I agree with the ultimate outcome or not. Like so many business decisions, there are motivations and drivers that are obvious and visible to everyone … and sometimes there are factors (and actors) behind-the-scenes that have tremendous influence and power. In this case, there was some of the former and an awful lot of the latter. Stephanie, Mark, and I remain friends … and the desire to remain friends was the most important and overriding aspect at the end of the day. I truly wish the two of them the best of luck in everything they do. 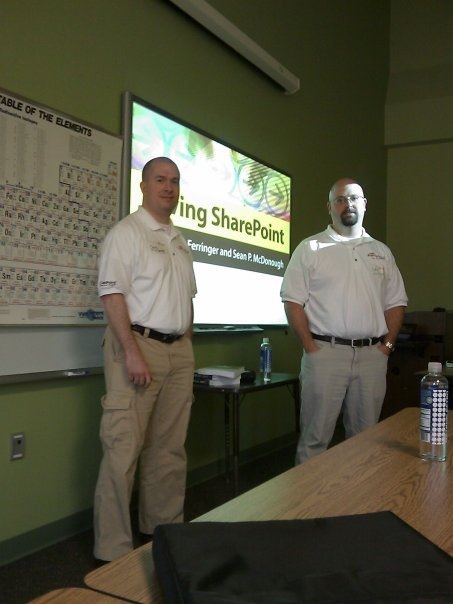 They’re top-notch SharePoint professionals, and I have a great deal of respect for both of them. And they’re still my friends, and I’ll continue to do anything I can to help them personally in their endeavors. I don’t want our parting to impact the friendships we share. After learning of my separation from PAIT Group, the first feelings to hit me last Thursday were shock and uncertainty. I have a wife and two kids, and I’m the primary “breadwinner” for my family. Suddenly finding myself without gainful employment created a tremendous amount of stress in the immediate sense. Anytime I’d parted with an employer in the past, I had been a part of the decision – or at least a part of the discussion that led to the outcome. This time proved to be a first for me, and I’m not going to lie: I was initially scared. Once the shock and fear subsided, I set about figuring out what to do next. Since my timetable was short, I decided to go with the “fallback” plan I’d always had the foresight to maintain: to brush the dust off of Bitstream Foundry LLC and rev things back up. I’ve always kept my LLC in-order, kept my insurance (Business Liability and Errors & Omissions policies) paid and up-to-date, and tried to keep material related to my company current. Truth be told, I still have some work to do on that last one (I’ve spent a chunk of time this weekend updating social profiles and getting other public-facing items in order), and I still need to both migrate my company’s site and update its content. More important than any other “get ready” aspect, though, was something else that settled over me in a somewhat unexpected way. When I made my initial round of social and professional networking profile changes late last week to reflect the move back to Bitstream Foundry, I was immediately deluged on all channels of communication from my friends and business contacts across the SharePoint space. The outpouring was immediate, overwhelming and … extremely humbling. I was dumbstruck. Within the space of less than 36 hours, I had no fewer than a dozen different collaboration opportunities – including a number of requests for SOWs (statements of work), some partnership and referral offers, and more. I was stunned. Simply stunned. And that brings me to the topic of community. 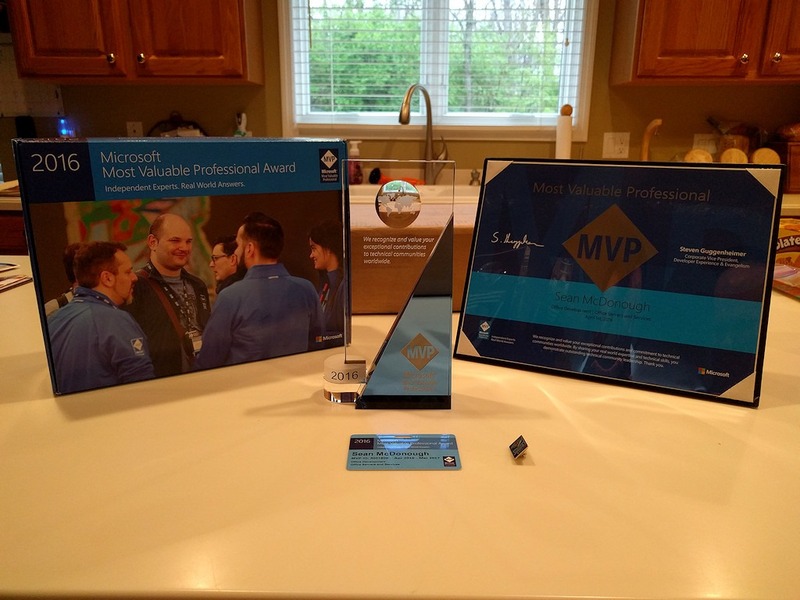 The SharePoint Community is like no other community I’ve ever been involved with. It’s vibrant, full of wonderful people, and chock full of life and energy. Every time I speak at a conference or present for a SPUG, I leave the event “charged” and wanting to do more. 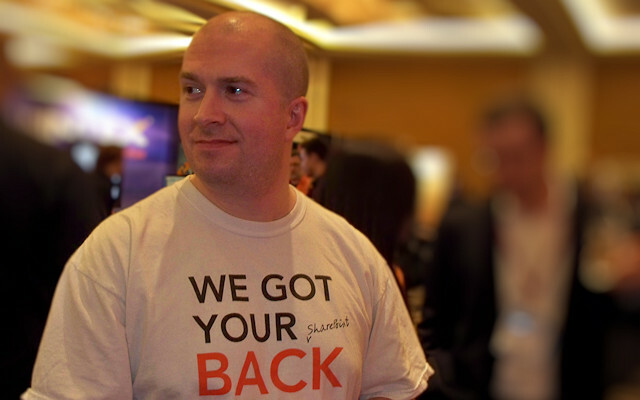 I’ve been involved in the SharePoint Community since 2004, and I’ve actively been giving back to the community since 2009. Giving back is important to me, because I’ve benefited tremendously from knowledge that many of you have openly shared. Sharing what I know has been the right thing to do, as well, and I’ve worked to make all of my conference materials, presentations, workshops, development projects, and other efforts freely available to all. I feel fortunate to be a part of this community, and I am so tremendously grateful for the relationships and friendships that I’ve built with many of you over the years. Simply put: you folks are awesome. Anytime life throws me a curveball, I try to take a step back and reflect on what I’ve learned, where I’ve made mistakes, and where things have gone well. Given that I’m in the middle of another tectonic shift in my professional career, it seemed like a good time to conduct another review. For me, one-to-one personal relationships are more important than anything else within any community or arrangement – far ahead of skills, and definitely ahead of day-to-day business practices and arrangements. Over the years I’ve always found great pleasure and meaning in the relationships I’ve built across the country and across the globe. I recently took the Gallup StrengthsFinder questionnaire, and my relationship focus was confirmed and reinforced by my number one strength according to the assessment: “Relator.” Read the description in the previous link for more insight. A lot of people use SharePoint, but the global SharePoint community is relatively tight-knit and personal. And Karma is an active participant within the SharePoint community. The way that you treat people sends ripples through the social ecosystem. If you are good to people, others will hear of your deeds and come to regard you in a positive light. If you put things like money and self-interest before relationships, then others will hear of it and treat you accordingly. What you do will come back to you. To the extent that I’ve been able to, I’ve always attempted to provide assistance and time to those who have asked for them – and in situations where I could see that they were needed. Service to others has been a cornerstone of my life, and that goes all the way back to my college days. My wife and I met through Alpha Phi Omega, our co-ed service fraternity, and we’ve both tried to maintain a “pay it forward” outlook that is consistent with A Phi O’s principles in our adult lives. Paying it forward is a great way to live a meaningful existence, and I know that many of you share the same outlook – especially the incredibly wonderful Jeff Shuey. Jeff got me hooked on “Pay It Forward Fridays” (#PIFF), and I try to follow his example whenever I can. Companies come and go, and businesses grow and die every day. I choose not to focus on companies and businesses, but rather on individuals and one-on-one relationships. This probably comes as no surprise in light of #1 (above), but it bears saying explicitly. I have yet to go wrong by focusing on my relationships with individuals within a company rather than a company itself, and I plan to continue doing so in the future. Probably the most important thing I’ve learned in the last 15 years or so is that communication is critical in everything we do. If you cannot communicate openly and effectively, then life is bound to be pretty muddled and confusing. I credit my wife, Dr. Tracy McDonough, for helping me to grow in this area. She’s a licensed clinical psychologist and a wonderful person to boot. And believe me: you won’t survive in a marriage with a psychologist if you don’t learn how to communicate effectively. Tomorrow starts Bitstream Foundry’s first week of being “back in business,” and I’m ready to jump into it. I still have a lot of things to get done to get back into “fighting shape,” but I’m looking forward to the challenge. In the meantime, please don’t hesitate to reach out to me if you think that I may be of assistance to you in some endeavor or undertaking you have planned! 2013 promises to be a year of big changes. In this post, I cover career changes and some official resolutions I’m making for the new year. 2012 is coming to a close, and 2013 is just around the corner. I’ve been thinking about the year that has gone by, but I’ve been thinking even more about the year to come. 2013 promises to be a year of great personal change – for reasons that will become clear with a little more reading. But first: I’ve got this friend, and many of you probably know him. His name is Brian Jackett, and nowadays he works for Microsoft as a member of their premier field engineering (PFE) team. For the last couple of years, I’ve watched (with envy, I might add) as Brian has blogged about his year-gone-by and assembled a list of goals for the coming year. He even challenged me (directly) to do the same at one point in the past, but sadly I didn’t rise to the challenge. I’ve decided that year-end 2012 is going to be different. 2012 was a very busy year for me, and a lot of great things happened throughout the year. Despite these great things, I’m going into 2013 knowing that a lot is going to change (and frankly has to change). Let me start with the most impactful change-up: my full-time role as Chief SharePoint Evangelist for Idera is coming to a close by the end of March 2013. I’ve been with Idera for over two and a half years now, and I’m sad to be moving on from such a great group of folks. I’m leaving because Idera is undergoing some changes, and the company is in the process of adjusting its strategy on a few different levels. One of the resultant changes brought about by the shift in strategy involves the company getting back to more of an Internet/direct sales-based approach. Since a large part of my role involves community based activities and activities that don’t necessarily align with the strategy change, it doesn’t make a whole lot of sense for me to remain – at least in the full-time capacity that I currently operate in. To be honest, I didn’t expect my role or position to be around forever. As many of you heard me declare publicly, though: I wanted to make the most of it while I had the role and the backing. I got a lot out of working with my friends at Idera, and I greatly appreciate the opportunities they afforded me. I hope it’s been as much fun for them as it has been for me. Even after my full-time role comes to a close, I’ve already had a couple of conversations around continuing to do some work with/for Idera. Despite my full-time focus on Idera over the last 2+ years, I have actually been operating as a contractor/consultant – not a full-time employee. This has left me free to take on other SharePoint work when it made sense (and when my schedule permitted). Going forward, my situation will probably just do a flip-flop: Idera will become the “side work” (if it makes sense), and something else will take center stage. I don’t yet know what will be “showing on the main screen,” though. That’s been on my mind quite a bit recently, and I’ve been spending a lot of time trying to figure out what I really want to do next. 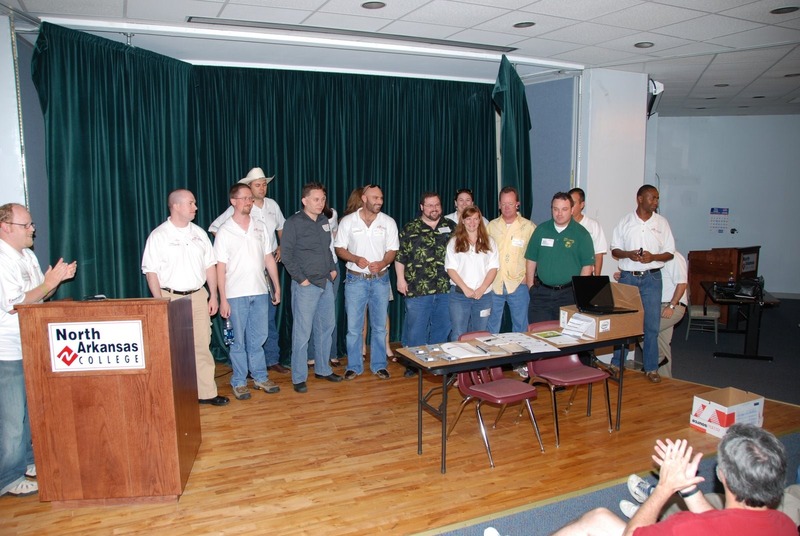 Take a full-time role with a local organization? Do contract development work and continue to work from home? Wiggle my way into becoming the first Starbucks SharePoint barista? Something else entirely? If my preliminary assessment of what’s out there is accurate, there are quite a few different options. I’ll certainly be busy evaluating them and comparing them against my ever-evolving “what I want to do” checklist. Many of you know that I do a lot of speaking, blogging, answering of questions/emails, etc. Giving back to the community and sharing what I’ve learned are a part of my DNA, and I’ll continue to do those things to the extent that I can going forward. I normally don’t ask for anything in return; I just like to know that I’m helping others. As I try to figure out what’s next, I’d like to ask a favor: if you feel that I’ve helped you in some significant or meaningful way (through one of my sessions, in an email I’ve answered, etc.) over the last few years, would you be willing to endorse my skills or recommend me on LinkedIn? I see a wealth of opportunities “out there,” and sometimes an endorsement or recommendation can make the difference when it comes to employment or landing a client. Employment and the ability to support my family aside, this is the first year (in quite a few) that I’ve made some resolutions for the new year. Although it’s an artificial break-point, I’ve separated my resolutions into “work-related” and “non-work” categories. And although I can think of lots of things I want to change, I’ve picked only three in each category to focus on. 1. Manage Distractions More Effectively. Working at home can be a dual-edged sword. If I were single, unmarried, and better-disciplined, I’d see working at home as the ability to do whatever I wanted without distraction. That’s not the reality in my world, though. Where I can remove distractions, I intend to. Some of you chimed-in (positively) when I recently made a comment on Facebook about unsubscribing to a lot of junk email. Over time, I’ve come to realize that all of the extra email I’ve been getting is just a distraction. I can do something about that. The same goes for email in general. I have multiple email accounts, and mail streams into those accounts throughout the day. Rather than constantly trying to stay on top of my inbox, I’m going to shift to a “let it sit” mentality. If I’m honest with myself, 95% of the email I receive can go unanswered for a while. I’ll attend to those items that require my attention, but some of the quasi real-time email discussions I’m known to have don’t really matter in the greater scheme of getting real work done. Social networking tools are another great example. I think they can be a very positive and helpful force (especially for someone who’s at home all day, like me), but they can very easily become a full-time distraction. I cut down my Twitter use dramatically a couple of years back. I won’t even set foot “on” Yammer because of the huge, sucking, time-consuming noise it appears to make. Going forward, I’m going to attempt to use other tools (Facebook, LinkedIn, etc.) during specific windows rather than having them open all-day, everyday – even if I’m not “actively” on them. For distractions that can’t be removed (e.g., children running around), my only option is to better manage the distractions. My home office has doors; I’ve already begun using them more. I’ll be wearing headphones more often. These are the sorts of things I can do to ensure that I remain better focused. 2. Thoughtfully Choose Work. I had to come clean with myself on this one, and that’s why I chose to word the resolution the way I did. Work is important to me, and it’s in my nature to always be working on something – even if that work is “for fun.” While I’d like to be the type of person who could cut back and work less, I don’t know that I’d be able to do so without incurring substantial anxiety. Knowing this about myself, I’ve settled on trying to be more thoughtful about doing work. Make it a choice, not the default. Being a workaholic who labors from home, work became my default mode rather quickly and naturally. I remember a time when weekends were filled with fun activities – and leaving work meant “leaving” in both the physical and mental sense. Even if I can’t maintain boundaries that are quite that clear nowadays, I can be more conscientious about my choices and actually making work a conscious choice. That may sound like nothing more than semantics or babble, but I suspect other work-at-home types will get what I’m saying. For me, this mentality needs to extend to “extracurricular” work-like activities, as well. I just went back through my 2012 calendar, and I counted 19 weekends where I was traveling or engaged in (SharePoint) community activities. That’s over a third of the weekends for the year. Many of those events are things I just sort of “fell” into without thinking too much about it. Perhaps I’d choose to do them all anyway, but again – it needs to be a choice, not the default course of action. 3. Spend Time on Impactful Efforts. Of all my work-related resolutions, this is the one that’s been on my mind the most. 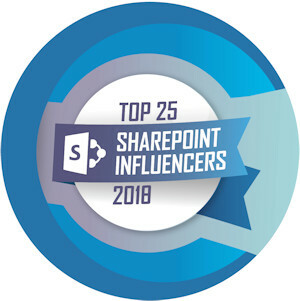 As I already mentioned (and many of you know), I spend a lot of time answering questions in email, speaking at and organizing SharePoint events, writing, blogging, etc. Although I originally viewed all of these activities as equally “good things,” in the past year or so I’ve begun to see that some of those activities are more impactful (and thus “more good”) to a wider audience than others. In 2013, I intend to focus more of my time on efforts that are going to help “the many” rather than “the few.” No, that doesn’t mean I’m going to stop answering email and cease meaningful one-on-one interactions, but I do intend to choose where I spend my time more carefully. In broader terms, I also intend to focus my capabilities on topics and areas that are generally more meaningful in nature. For example, my wife and her co-worker started a project a while back that has been gaining a lot of traction at a regional level – and the scope of the project is growing. Their effort, The Schizophrenia Oral History Project, profoundly impacts the lives of people living with schizophrenia and those caring for them, providing services to them, and others. I’ve been providing “technical support” (via an introduction to Prezi, registering domain names, etc.) for the project for a while, and I’m currently building a web site for the project using SharePoint and the Office 365 Preview. This sort of work is much more meaningful and fulfilling than some of the other things I’ve spent my time on, and so I want to do more of it. 1. Lose Another Ten Pounds. My weight has gone up and down a few times in the past. At the beginning of 2012, I was pretty heavy … and I felt it. I was out of shape, lethargic, and pretty miserable. Over the course of 2012, I lost close to 30 pounds through a combination of diet (I have Mark Rackley to thank for the plan) and exercise. Now at the end of the year, I’ve been bouncing around at roughly the same weight for a month or two – something I attribute primarily to the holidays and all the good food that’s been around. In 2013, I plan to lose another ten pounds to get down to (what I feel) is an optimal weight. 2. Take Up a Martial Art Once Again. This will undoubtedly help with #1 directly above. I practiced a couple of different martial arts in the past. Before and during college, I practiced Tae Kwon Do. A few years back, I had to reluctantly cease learning Hapkido after only a couple of years in. Martial arts are something I’ve always enjoyed (well, except when I was doing something like separating a shoulder), and I’ve found that life generally feels more balanced when I’m practicing. With the recent enrollment of my five year-old son into a martial arts program, I’m once again feeling the pull. I’ve wanted to learn more about Krav Maga for a while; since there’s a school nearby, I intend to check it out. 3. Prioritize My Home Life. This may be last on my list, but it’s certainly not least. With everything I’ve described so far, it’s probably no surprise to read that I do a pretty poor job of prioritizing home life and family activities. That’s going to change in 2013. Provided I make some headway with my other resolutions, it will become easier to focus on my wife, my kids, and my own interests without feelings of guilt. Do you have any resolutions you’re making? Big changes?